Vaccination has revolutionised control of infectious disease in our pet dogs. It is essential that all dogs are adequately vaccinated to help protect the pet dog population as a whole. Responsible pet dog care requires puppies to be given their initial course of vaccinations, but this cannot protect them for the rest of their lives. Adult dogs require regular vaccination to maintain immunity against disease. Puppies are ‘temporarily’ protected against many diseases by antibodies received through their mother’s milk. These maternal antibodies decline in the first few months of their lives, however until they drop sufficiently they can also neutralise vaccines. This is why a series of vaccinations is necessary in a puppy (especially when going to Puppy Pre-School at Animalia Vet Clinic). The immunity from puppy vaccination weakens over time and your pet can again become susceptible to disease. Annual health checks and booster vaccinations, as required, will provide the best protection for the life of your pet dog. Please give us a call at the Vet Clinic to discuss a suitable vaccination regime for your pet puppy or dog. 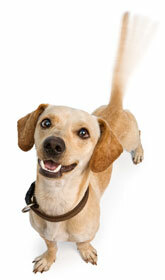 See us for more DOG CARE ADVICE and VET PROCEDURES such as DOG DESEXING and MICROCHIPPING? Got a Puppy ready for Puppy Pre-School Training? Click here.